Customers Can Now Grab Your Offers From Anywhere! The Offers On-Demand Program is designed to enhance all of your promotions, targeted at your mobile customers. 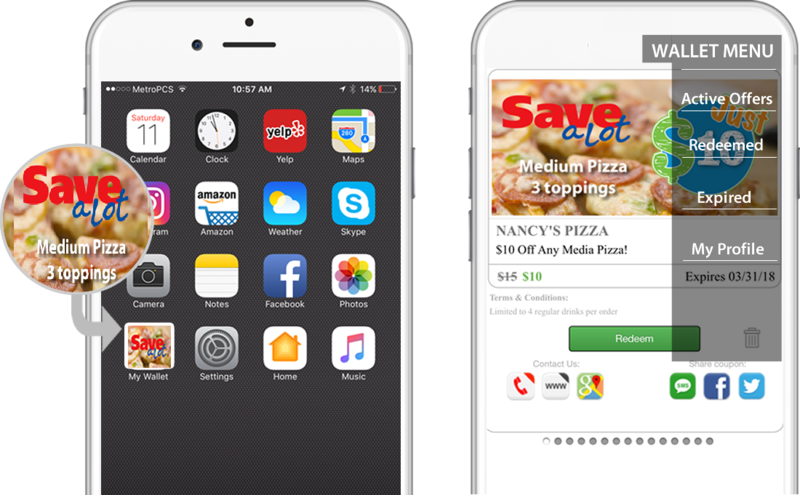 Anywhere that you show an offer or coupon, customers or visitors can save the offer to their phone wallet. This is the newest way to make sure customers always have easy access to your offers, resulting in more redemptions and increases to your bottom line. 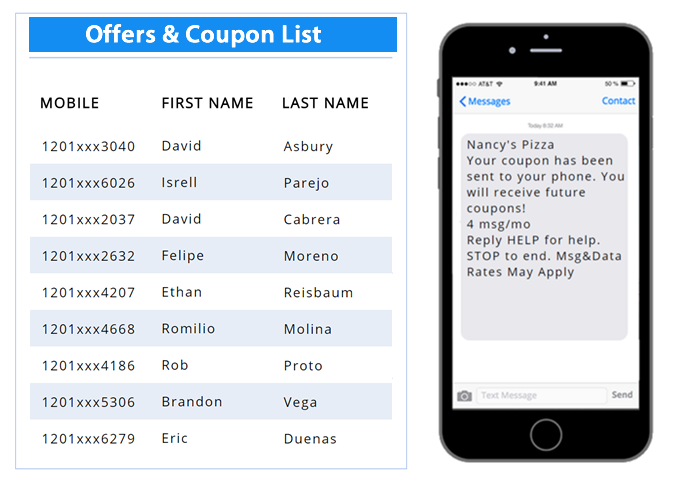 Your customers will appreciate that you provided them a coupon wallet that's automatically installed on their phone. All of your future offers will be added to their coupon wallet giving them easy access to redeem. Their wallet is organized and keeps track of their active, redeemed and expired coupons. Customers can also add a button to their phone screen making your redemptions a tap away! When your customer grabs one of your offers, their contact information is automatically added to your company contact list. In addition to phone numbers, you can customize the contact data that is needed for your business. 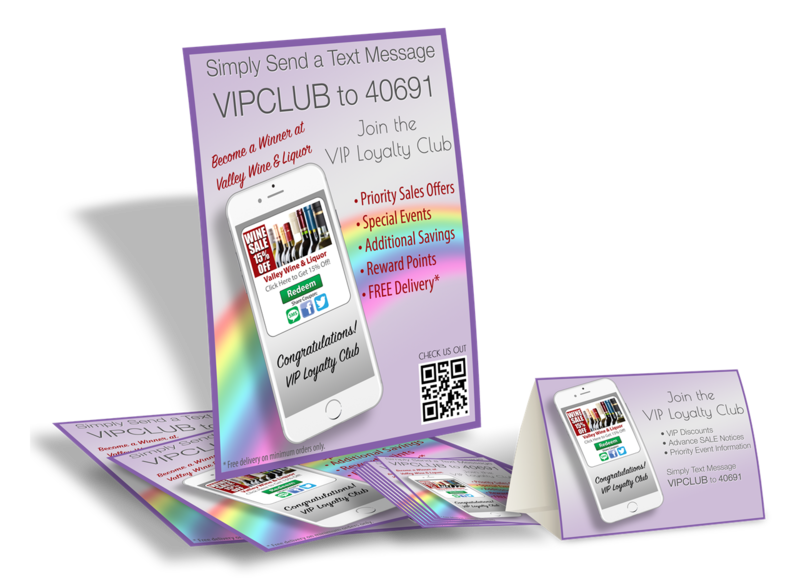 You can also target your offers and coupons to a specific group of customers. One of the best features of the Offer On Demand program, is that your customers will recieve a friendly reminder just before your offer or coupon expires. This solves the problem that customers forget about an offer that is lost in an old email. This feature is a great way to renew your offers! You can also reward your customers with a special coupon when they share youroffer. Once the shared coupon is grabbed, the customer that shared the coupon gets a special gift coupon from you and you get a new customer! Once a customer grabs their first offer from your company, they will automatically receive all future offers from you. 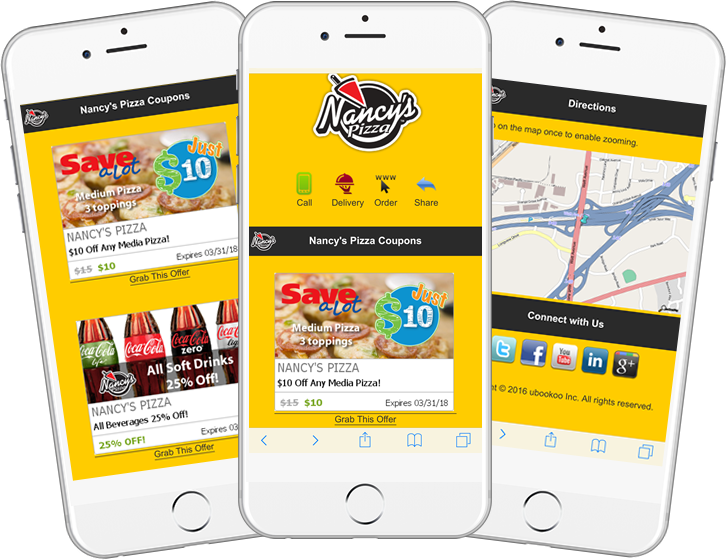 Offers On Demand includes your own branded mobile offer page that inludes all of your current coupons. 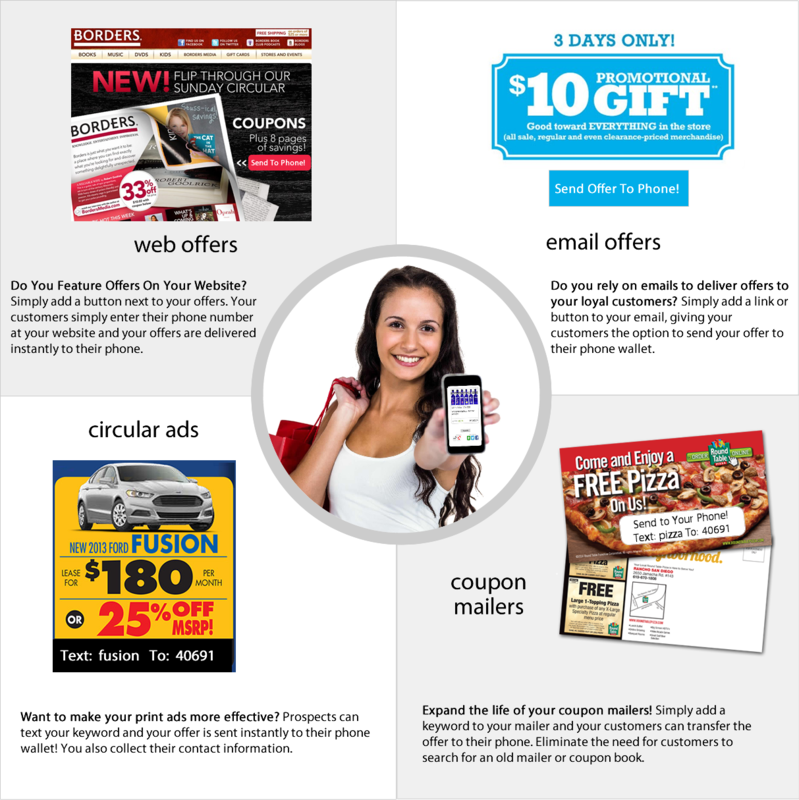 You can send your coupons to your customers once a week, every two weeks or once a month. It's up to you! 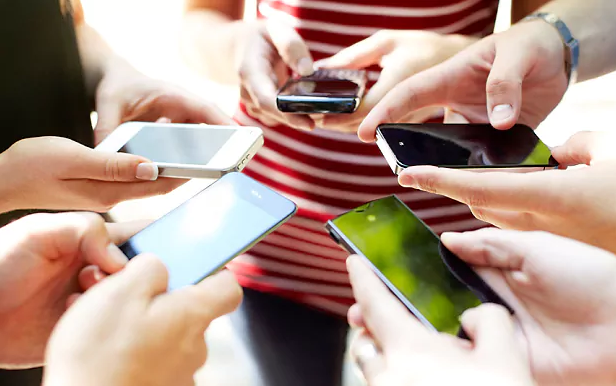 Your Mobile Offer Page can also be linked to your order process which allows customers to easily place an order without having to leave the page. Now you can target your customers and maximize your offers. 1. Send your offers at the exact time you want your customers to respond. For instance, if you are a diner and you need to spike your visitors on Monday night, you can send a message out that arrives at 3:00pm to stop for a by for special deal. Remember, your customers will open your alert at a 97% rate, making the message extremely targeted. 2. 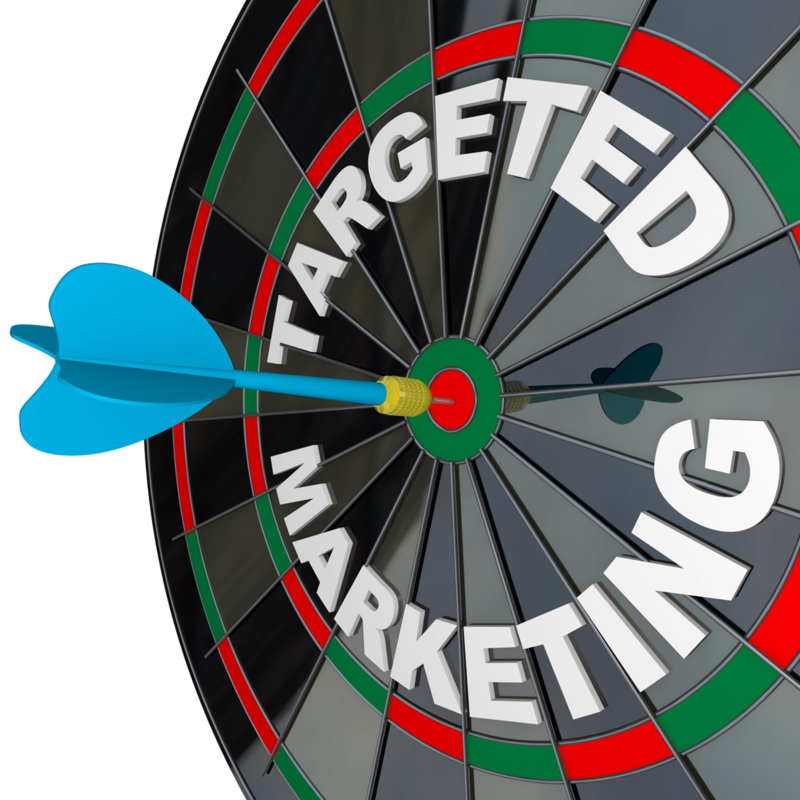 Target a specific group of customers that are on your list. For example, you're a beverage store and would like to target your wine customers only. You can send a separate message to your wine customers and a different message to your beer customers.